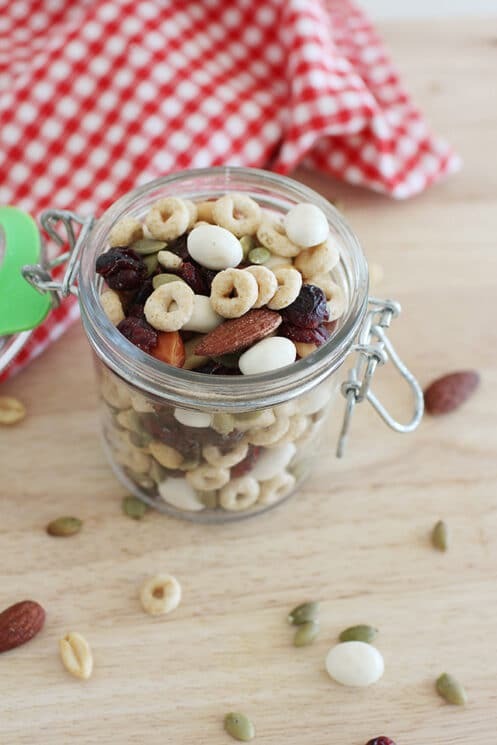 Trail mix is a perfect kids snack, no matter what time of year. 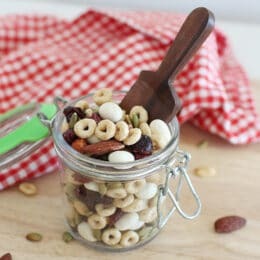 Just a slight change up with healthy ingredients turns common trail mix, into Christmas Trail mix! 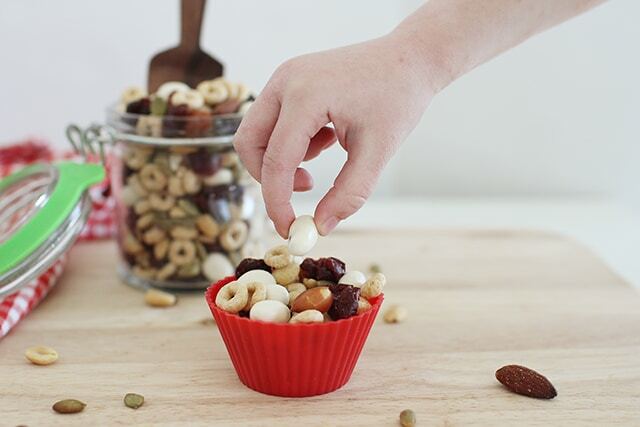 How Do You Make a Healthy Christmas Trail Mix? Red: Dried cranberries, dried or freeze dried strawberries and raspberries, or dried plums. 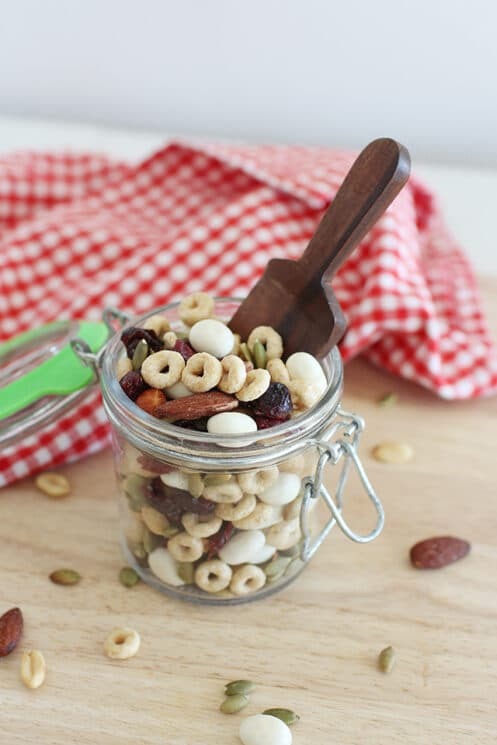 We love to use dried fruit in our trail mix recipes. Dried fruit is great for kids who won’t stop playing long enough to eat something substantial. Dried fruit is a concentrated source of vitamins and fiber. This makes it a convenient choice for hiking, all-day holiday shopping, or playing in the snow! Once school ends for the holiday break, kids are home all day and snacks are back just like over summer break! 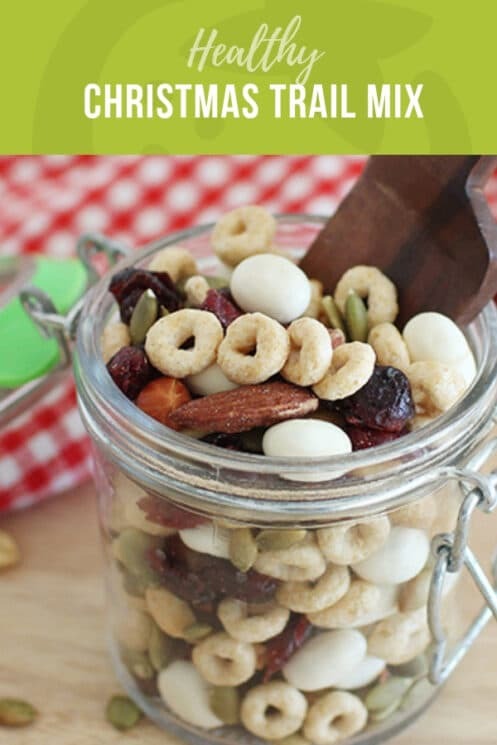 We think it is a great idea to involve your kids in making some healthy snacks to have on hand. If the weather doesn’t allow them to play outside, then cooking in the kitchen is a great indoor activity! Kids love crafts and food crafts are a great way to combine an activity and a snack! 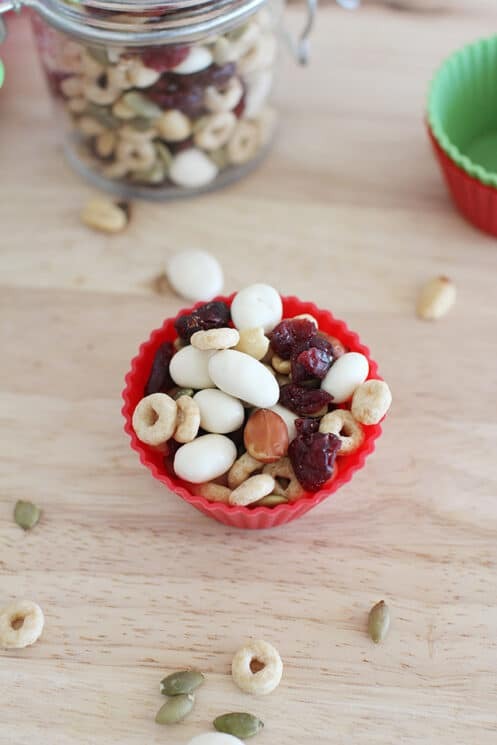 Check out our 25 Christmas Snacks post for some great ideas your kids can help make. Mix ingredients together or layer in a holiday container by colors.